This fall, getAbstract is connecting readers with top business authors. Every #TakeoverTuesday, you’ll be able to talk to a new author, ask questions and learn more about the author’s upcoming projects. Join us on Twitter, Facebook or LinkedIn – getting relevant business information has never been so easy! 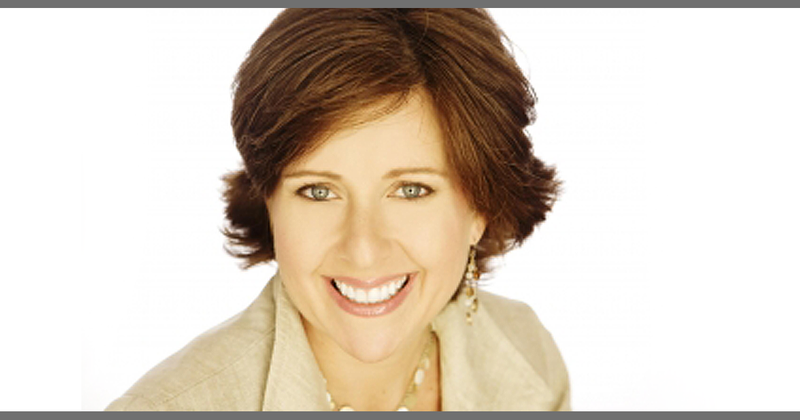 The first author to take over is Lisa Earle McLeod, founder of McLeod & More and Sales Leadership expert for Forbes. We had a chance to talk to her first and ask some questions. getAbstract: Lisa, what’s the one thing every business leader should ask? Lisa Earle McLeod: The key question every leader needs to ask is do we have a Noble Purpose or do we just sell stuff? The answer is directly linked to your profitability. The data is clear, organizations with a Noble Purpose – a purpose that focuses on improving life for their customers – outperform organizations that are focused on hitting financial targets. I created the concept of Noble Purpose six years ago after my research with sales teams revealed that salespeople who sold with Noble Purpose – who truly wanted to make a difference to customers – consistently outsold the salespeople who were focused on sales goals and money. getAbstract: That sounds counterintuitive. Shouldn’t a salesperson’s motivation be to “sell stuff”? Lisa Earle McLeod: The words noble and selling are rarely seen together. Most people believe that money is the primary motivator for top salespeople and that doing good by the world runs a distant second. That belief is wrong. If you have a Noble Purpose, the odds are on your side. If you’re just selling stuff, you’re going to be in for a very tough time. getAbstract: This might be the first time some of our readers hear about Noble Purpose. How popular is this concept? Lisa Earle McLeod: Noble Purpose is catching on because it works. Early adopters like our clients Hootsuite, Flight Centre and G Adventures put the language into the business vernacular. For example, Hootsuite CEO Ryan Holmes regularly talks about their Noble Purpose: “We help our customers transform their message into meaningful relationships.” During the time we worked with their firm, Hootsuite doubled revenue. Noble Purpose was the jumping-off point for a growth strategy that has delivered attention-getting results. The media is starting to cover it as well. In 2014, The Wall Street Journal quoted Merrill Lynch leader John Theil’s annual address to his team where he asked 13,700 financial advisers to “find their Noble Purpose.” In 2016, WSJ did a piece about how we (McLeod & More), use Noble Purpose to increase employee engagement. Purpose is not new. What’s new is the process we’ve created to take it from concept into tangible business strategies. Our clients are getting big results, that tends to get people talking. Do you have more questions for Lisa? Connect with her on social media this #TakeoverTuesday. Curious about our next author takeover? Don’t miss Jason Womack on October 4. Enjoyed your insight on the emerging concept of selling via the “Noble Purpose”. Having spent 18 years leading a Sales & Trading operation at two prominent investment banks, I used to think that Sales-people simply read ‘right-to-left’ i.e., incentivized by the almighty $. However, personal experience has shown me that the underlying motivation of many ‘Top Producers’ is in fact the self-satisfaction of helping others. In doing so, financial rewards follow. For instance, having grown-up in SF and starting two companies in the the Silicon Valley, I am often asked about the Valley’s culture and the traits of its leaders. My fervent belief is that most highly successful entrepreneurs are motivated first and foremost by intrinsic passions rather than $. No doubt, as I get older, I get much more out of helping others and find that this enrichment far out weighs financial reward. Thank you for your diligence in striving to change people’s mindset.